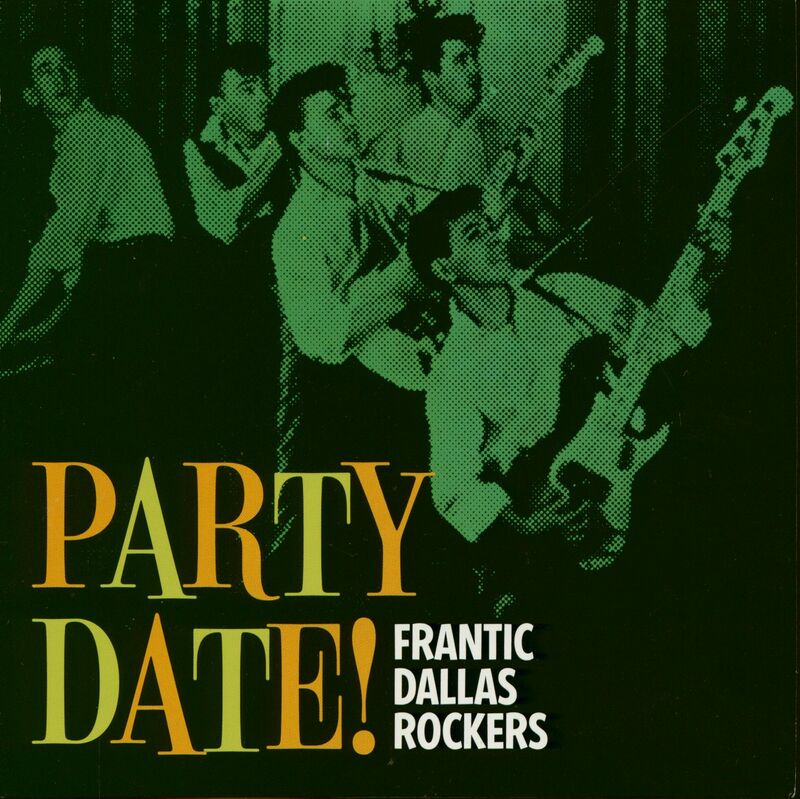 (2005/NORTON) This wild, wild party roars with four frantic 1958 Dallas rockers - two not originally issued! 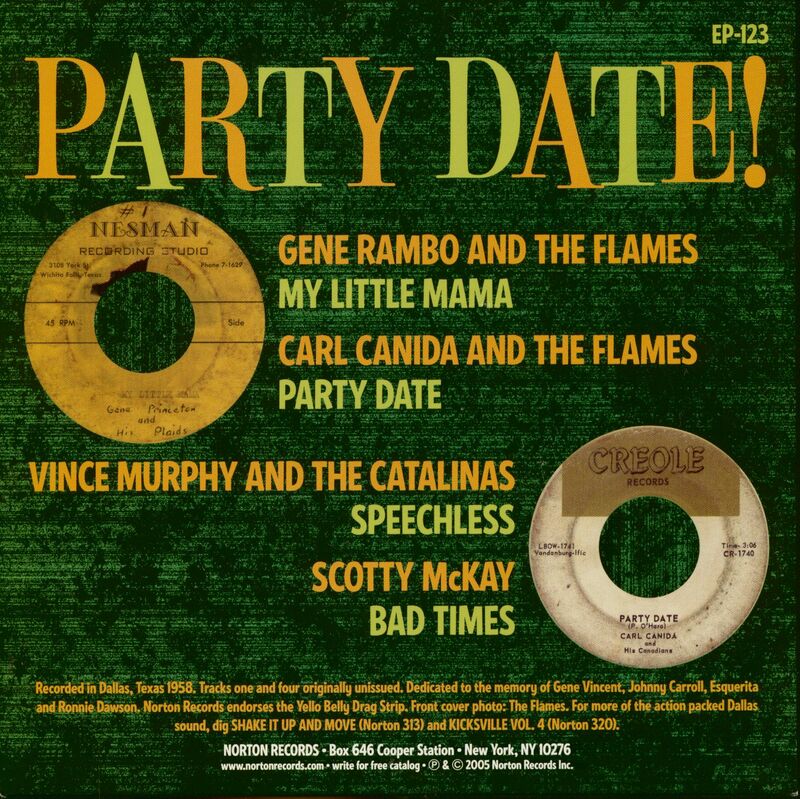 Gene Rambo and The Flames 'My Little Mama'/ Carl Canida &, The Flames 'Party Datel'/Vince Murphy And The Catalinas 'Speechless'/Scotty McKay 'Bad Times'. Customer evaluation for "Party Date - Frantic Dallas Rockers (7inch EP, 45rpm, PS)"